I have lived most of my adult life in the New Forest surrounded by horses, goats, chickens, cats and dogs and more recently by Japanese koi carp. From a child, I was interested in modelling, my father had a workshop with a wide range of equipment and materials. So while in junior school I played with plasticine, plaster and wax. Senior school saw sport take over and it wasn’t until my late 205 that my interest in sculpture was revived with a course at Woolwich Polytechnic. 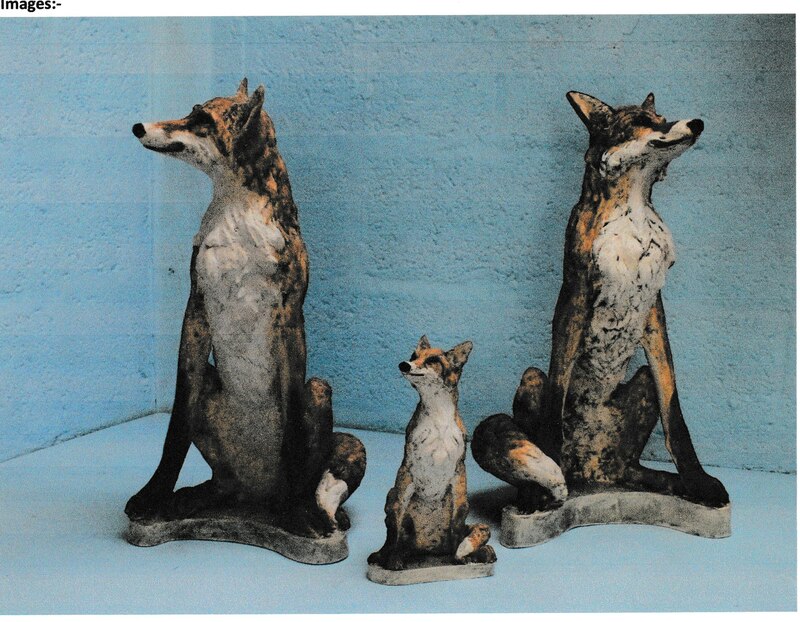 I acquired a kiln, found out how to make plaster moulds of my models and spent several years slip casting and supplying Breed societies with dog models for Crufts and other shows. The repetition was tedious but it paid the bills! Later, attracted by reproduction of fine detail and broader scope I turned to resin using silicone rubber to produce bronze resin and coloured models on a much larger scale. At this time I did some work for Sladmore Gallery, London then the leading animalier gallery and also for Garrards, Crown Jewellers. Recently I decided I really must retire from mass production and produce original pieces primarily for my own pleasure but hopefully of general appeal. I have attended courses run by people whose work I admire to learn about producing larger pieces in stoneware which I am finding very exciting and absorbing. My work is based on animals whose movements and body attitudes express their character and feelings endlessly fascinating subject.